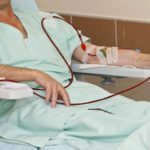 Editor’s note: This article is a summary of a presentation Dr Goldfarb is scheduled to give at the 2016 Kidney Week conference in Chicago, November 15, 1:30 to 2:00 p.m.
Hemodialysis (HD) has been used for the treatment of poisoning since the 1940’s. Despite this long history, its utility generally has not been demonstrated by randomized controlled trials. The application of extracorporeal treatments (ECTR), including hemodialysis (HD) and charcoal hemoperfusion (HP), in the treatment of poisoning, therefore, has proceeded without underlying data confirming its appropriate use. Without data, consensus cannot easily be achieved and guidelines cannot be formulated. In 2011, Marc Ghannoum, MD, a nephrologist on the faculty of the University of Montreal, decided to apply the principles of evidence-based medicine to the field. He heads the EXtracorporeal TReatments In Poisoning (EXTRIP) workgroup (www.extrip-workgroup.org), the goal of which is to assess the available evidence and provide the best possible guidelines. The group is made up of experts in the fields of toxicology, nephrology, pharmacology, pediatrics, and intensive care, and represents a wide range of professional societies. The result of this concerted effort has been the publication of a wealth of reviews and recommendations, to date regarding 13 potential toxins: acetaminophen, barbiturates, carbamazepine, digoxin, lithium, metformin, methanol, phenytoin, salicylates, thallium, theophylline, tricyclics, and valproic acid. Here we highlight a few of the recent publications and controversies. Acetaminophen (APAP) is one of the most common drug poisonings among adults and children. APAP is metabolized by the liver to an active and toxic metabolite, N-acetyl-p-benzoquinone imine (NAPQI). This toxin requires glutathione to be conjugated and inactivated. Sizable ingestions deplete glutathione stores, leading to accumulation of NAPQI and hepatotoxicity and liver failure. The standard of care is administration of N-acetylcysteine (NAC), which acts as a source of glutathione. Fatalities are rare and mostly occur in patients who experience a delay or interruption in NAC administration. APAP has a low molecular weight of 151.2 Daltons and is 25% protein bound with a low volume of distribution. Based on EXTRIP criteria, APAP is considered to have moderate dialyzability (10%–30% removal of total dose in a 6-hour ECTR session), although recent reports show rates of APAP extraction over 50% of total ingested dose). EXTRIP published recommendations based on 24 articles (1 randomized controlled trial, 1 observational study, and 22 case reports, including 23 fatalities). The conclusion was that ECTR is indicated only when NAC cannot be administered and in rare cases where patients develop signs of mitochondrial injury early after ingestion as manifested by acidemia and high lactate levels.3 ECTR should be followed with further NAC administration, as the antidote is itself dialyzable. Aleksey Etinger, DO, is a fellow in the nephrology division at NYU Langone Medical Center in New York. David S. Goldfarb, MD, is chief of the nephrology section at the New York VA Medical Center and clinical chief of the nephrology division at NYULMC. He is the National Kidney Foundation’s representative to EXTRIP. Dr Goldfarb also is a member of the Renal & Urology News editorial advisory board. Dr Goldfarb receives funding from the National Institute of Diabetes and Digestive and Kidney Diseases and the National Center for Advancing Translational Sciences.Editor’s note: This article is a summary of a presentation Dr Goldfarb is scheduled to give at the 2016 Kidney Week conference in Chicago, November 15, 1:30 to 2:00 p.m.
Lavergne V, Nolin TD, Hoffman RS, et al. The EXTRIP (EXtracorporeal TReatments In Poisoning) workgroup: guideline methodology. Clin Toxicol (Phila) 2012 50:403-413. Yates C, Galvao T, Sowinski KM, et al. EXTRIP workgroup. Extracorporeal treatment for tricyclic antidepressant poisoning: recommendations from the EXTRIP Workgroup. Semin Dial 2014;27:381-389. Gosselin S, Juurlink DN, Kielstein JT, et al. Extrip Workgroup. Extracorporeal treatment for acetaminophen poisoning: recommendations from the EXTRIP workgroup. Clin Toxicol (Phila) 2014;52:856-867. Juurlink DN, Gosselin S, Kielstein JT, et al. EXTRIP Workgroup. Extracorporeal treatment for salicylate poisoning: Systematic review and recommendations from the EXTRIP Workgroup. Ann Emerg Med 2015;66:165-181. Lavergne V, Ouellet G, Bouchard J, et al. Guidelines for reporting case studies on extracorporeal treatments in poisonings: methodology. Semin Dial 2014;27:407-414.